SPRINGFIELD - A Jerseyville contractor has been funneling tens of thousands of dollars into the Illinois American Political Action Committee but a bill in the Illinois House would complicate things for utility companies that have been using user revenue to fund a municipal water and sewer buying spree. According to publicly available information, the political action arm of Illinois American Water exists to "further and protect the interests of Illinois American Water and the investor-owned water industry". The Illinois American PAC has transferred hundreds of thousands of dollars to various political entities and has received significant funding from Illinois American Water, the actual company that operates many water and sewer systems and creates revenue based on Illinois Commerce Commission allowed rates. Private companies like Illinois American Water and Aqua Illinois have been buying municipal water and sewer systems whenever possible. The private companies then can seek approval from the Illinois Commerce Commission to raise water rates for customers. The companies can also use customer rate hikes to fund the actual purchase of the system from the local municipalities. In essence, the private companies can solicit the purchase of a municipal system, lobby politicians and then fund the successful purchase of the system using Illinois Commerce Commission allowed rates of return and return on equity calculations. Illinois American Water has bought seven public systems since laws were enacted that allowed them to do so. As of 2014, Illinois American reported water and sewer revenue in excess of $255,000,000.00. The proposed legislation would force Jerseyville and Alton to get approval from voters before selling public assets like water and wastewater treatment plants to private companies. State Rep. John Connor, the Lockport Democrat who sponsored the bill, said the legislation would require a ballot referendum to approve the sale and it wouldn’t just be for the residents of that municipality. “It would be anyone who gets water from the utility,” he said. Illinois American is opposed to Connor's measure. Craig Blanchette with Aqua Illinois told the committee that local officials who were elected by the public should maintain the authority to sell public assets. “Municipal officials are charged every day with making decisions in regard to their constituents,” he said. The bill would be effective immediately upon enactment into law. If Gov. J.B. Pritzker signs the bill before the cities of Alton or Jerseyville can complete a sale of municipal water or sewer infrastructure to Illinois American, the municipalities would be forced to put the proposals on hold and then seek approval from local residents and anyone that else that currently utilizes the public systems. 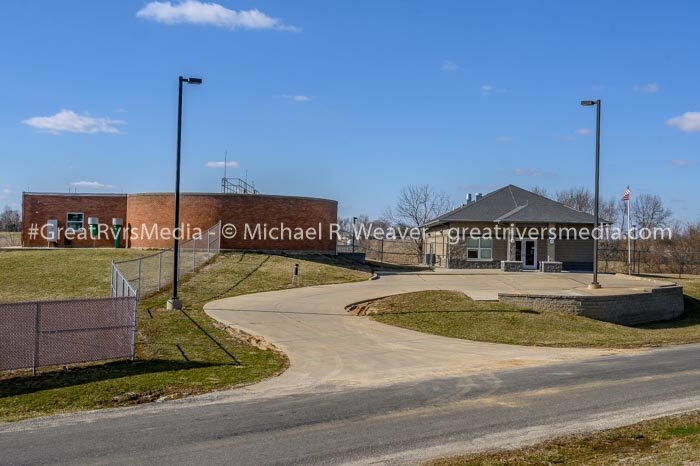 A view of the Jerseyville wastewater treatment plant. Locally, Loellke Plumbing, the plumbing firm that Jerseyville mayor Billy Russell has worked for, has contributed over $30,000.00 in the last six years to the Illinois American Water Political Action Committee. Just this month a $7,500.00 contribution to the Illinois American PAC was given by Loellke. Loellke was involved in the construction of the Jerseyville wastewater treatment facility that went considerably over budget. 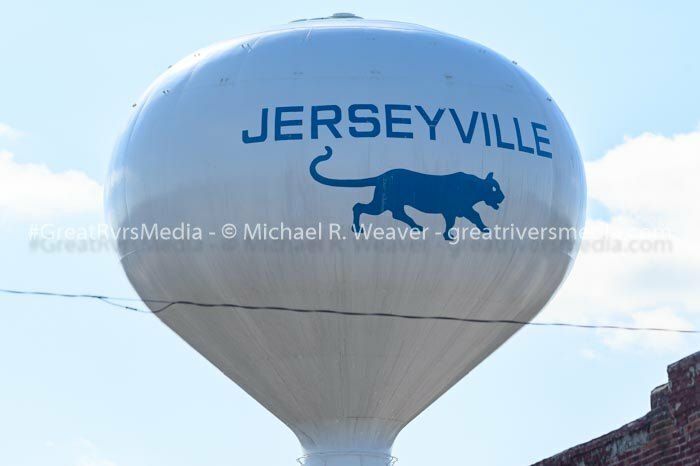 Russell and others have been attempting to gather support to sell the Jerseyville water and sewer assets to Illinois American. A search of the Illinois Election Board website finds 814 receipts totalling over $600,000.00 to and from Illinois American or the Illinois American Political Action Committee. Currently, Illinois American in the Zone 1 operations area has been allowed a 9.79 percent return on equity by the Illinois Commerce Commission as of January 2016. The company had originally asked for a 19.5 percent increase but was only allowed 14.7 percent by the ICC. Illinois American Zone 1 stretches across an area that includes Peoria, Champaign, Pontiac, Streator, Sterling, South Beloit, Alton and Cairo. Jerseyville's facilities would become a part of that area. In Madison County, Alton has a considerable police and fire pension debt of around $113 million and wants the $53.8 million from the sale to Illinois American to pay that down that debt or risk triggering a state law that would allow local pension boards to seize state funds meant for city services if Alton falls delinquent on payments. "Based on what we know today, we do not anticipate House Bill 2392 to be voted on this current legislative session, but that can obviously change at any point," said Terry Mackin, director of communications for Illinois American Water. "We continue to work on this issue and others."